Agencies using AQUA Advantage can now cleanly absorb media buying and delivery data generated from using Basis — streamlining the resources needed for reconciliation. So what does this new integration of Basis software do for AQUA Advantage media buying users? 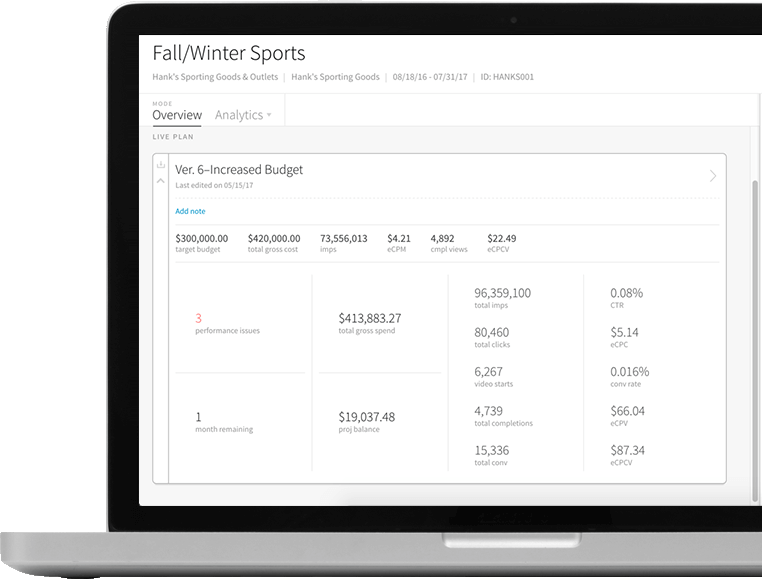 Enables users to consolidate campaign media data and tailor it with the codes their finance teams use in AQUA. Reduces the manual labor for data entry to streamline resources needed for reconciliation. Empowers agencies with accurate, real-time reporting available on-demand because it tracks media delivery data daily and verifies it with contracts, no matter the buying tactic — fixed CPMs or dynamic bid pricing. Gives marketers a single system of record to fulfill their research, planning, buying, optimization, reporting and reconciliation needs. This gives agency campaign teams the most accurate reflection of what has been delivered by publishers, whether it’s a direct-buy or through real-time bidding channels. Agencies that outsource programmatic buying to different partners can also manage these vendors within Basis with the option to buy with a fixed or dynamic CPM. For more information on how Centro’s Basis software and AQUA Advantage can empower your agency, please contact Tina Hussion at tina.hussion@gotoadvantage.com or call 800-841-2078.